May is Motorcycle Safety Month. 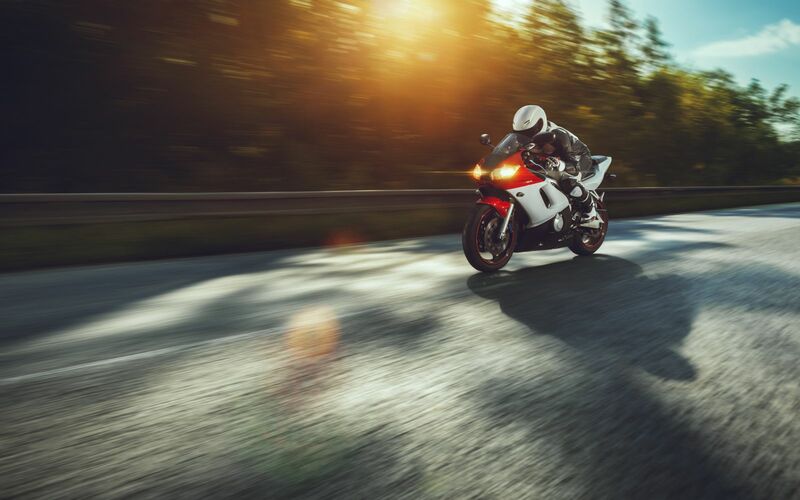 Motorcycle safety organizations designated May as Motorcycle Safety Month to raise awareness early in the season, with the hope that they will stay aware of motorcycle safety issues throughout the year. Why is riding a motorcycle so dangerous? The American Motorcyclist Association (AMA) is making an urgent effort to educate people about safety issues unique to motorcyclists. With the warmer weather, many more motorcycles are out on the road, so May is the perfect month to make all motorists more aware of motorcycle safety issues. Distracted driving. Almost 3,500 people died on American highways in 2015 from distracted driving. While distracted driving is a problem for all drivers, it is especially deadly for motorcyclists. This is because motorcycles are already difficult enough to see, even for the most cautious, alert drivers. A driver responding to a text or reaching for something on the floor might not see a rider until it is too late. Reliance on driver-assistance technology. Driver-assistance technology, while it can help save lives, can give drivers a false sense of security. They may rely on the technology to alert them to hazards on the road. When drivers think the car will keep a lookout for them and will brake automatically, they are more likely to let their guard down. When a car driver crashes into a motorcycle, the rider has a much greater risk of injury or death than the driver of the passenger vehicle. Even though only three percent of all registered vehicles in the United States in 2012 were motorcycles and less than one percent of all vehicle miles traveled were on motorcycles, 15 percent of all highway fatalities involved motorcycles, reports the National Safety Council (NSC). How can I observe Motorcycle Safety Month? Most crashes involving motorcycles result from the passenger vehicle driver violating the motorcycle’s right of way, reports the National Highway Traffic Safety Administration (NHTSA). Since there are so few motorcycles on the road compared to the number of cars, many drivers do not keep a lookout for them. Stay alert for other vehicles, pedestrians, and animals. The NSC emphasizes that motorcycle safety is a two-way street. Motorcyclists have a responsibility to stay alert for other vehicles, pedestrians, and animals. When a motorcycle weaves rapidly through traffic or splits a lane, car drivers may not notice the motorcycle in time to avoid a collision. Animals and children can dart out in front of motorcycles, which could cause the driver to swerve, lose control, and go into a dangerous skid. Keep your motorcycle in good, safe condition. Just as a pilot checks the plane before every flight, motorcyclists should do a thorough safety check of the bike before every ride. Wear a proper helmet on every ride, regardless of whether your state requires it. If your helmet is cracked or otherwise damaged, toss it and get a new one. Make sure you have taken the required courses. Motorcycle rider education courses save lives, which is why many states require them for licensing. Never drive a motorcycle if you do not have a legal license. Expect other drivers to drive badly. Since you are the one most likely to be seriously hurt or killed in a collision with a car, it is in your best interest to do your best to avoid being in an accident. Do not ride in the blind spot of another vehicle. Motorcycles are hard enough to see, as they are smaller than cars and trucks. Cruising in someone’s blind spot is asking for trouble. Do not speed and do not drink and drive. Keep a careful lookout for road hazards, such as puddles, debris, and potholes. Do not drive on the shoulder and do not weave in and out of traffic. Even in states where it is legal, do not ride between lanes when those lanes are occupied with vehicles. Even if you do everything in your power to avoid an accident, other drivers may not. If you have been injured in a motorcycle accident, a motorcycle accident lawyer at Max Meyers Law, PLLC can help. Call us at 425-242-555 to set up your free, no-obligation consultation today.